I choose to stay at a Marriott because I had status with them which would get me certain benefits like breakfast, lounge access, and potential upgrade. I also had a laundry/dryer combo which came in handy. The hotel was also right next to the BTS line which was super convenient. I went outside to queue for a taxi to take me to my hotel. Once a driver is ready a representative will print you out a piece of paper with a number on it. The number represents where your driver is located. By the time I got a driver it was 4:10pm. Initially I was worried that I would be at the hotel before official check-in time, but with the delays it was no something I didn’t have to worry about. 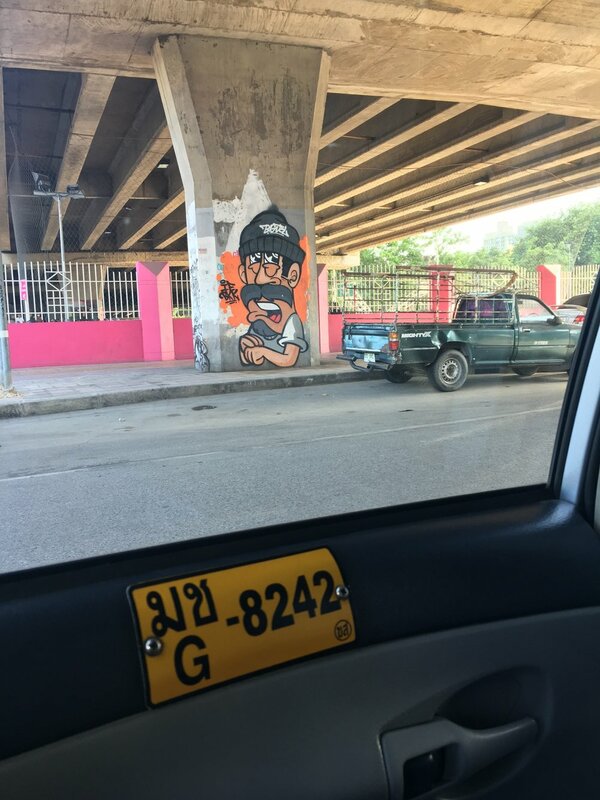 My driver spoke a little English, but I mostly just sat back and looked out the window to take in Thailand and some interesting sites. The front drive is nothing special. The taxi fare was less than $10 with a rounded-up tip. The driveway was nothing to boast about, but the lobby is. It was large, great finishes, with plenty of light. When you walk in the seating area and breakfast/bar area are on the right. To the left there is a staircase to the 2nd floor. Behind the stairs there is the concierge desk, and 2 corridors with elevators to each wing; one for regular hotel rooms and the other for the executive apartments. 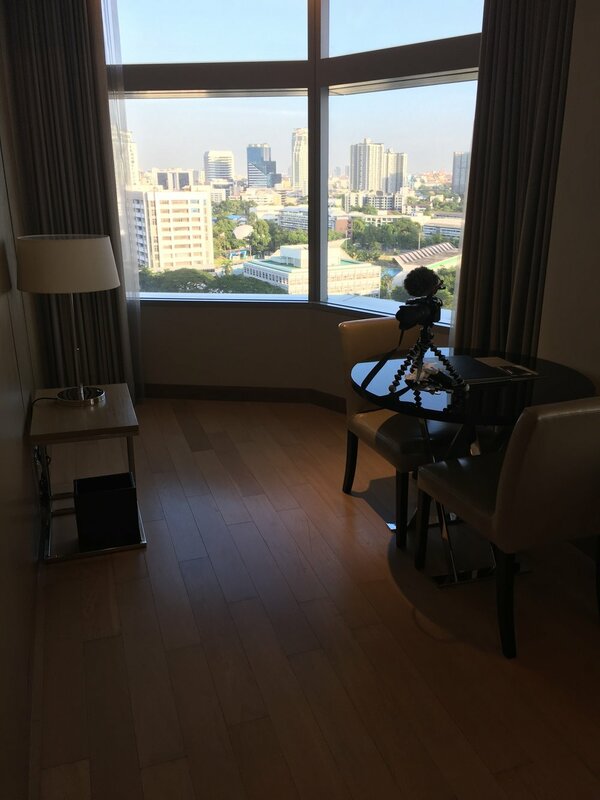 The staff gave me a corner room that had more room than normal with multiple windows overlooking the city and pool. The kitchen was well equipped, but make sure you know what disposables cost money before you use them. Past the kitchen is the living room which is a good size. The living room wasn’t particularly clean, but I didn’t make a big fuss. To the left was a small nook with a table and chairs, along with a welcome amenity. There was a closet hidden with the laundry/dryer. The bedroom was a very good size. I had a king sized bed in my apartment that had a large window overlooking the city. There was a small table and chair setup if I wanted to work in my room. On the right side of the room was a double closet. Every day the Marriott dry cleans 2 articles of clothing. I usually chose my shirts. If you turn it in at a certain time you will get them back same day, otherwise it will be added into the next day. The staff will drop off your garments off to your door, or if you’re out they will leave it in your closet. 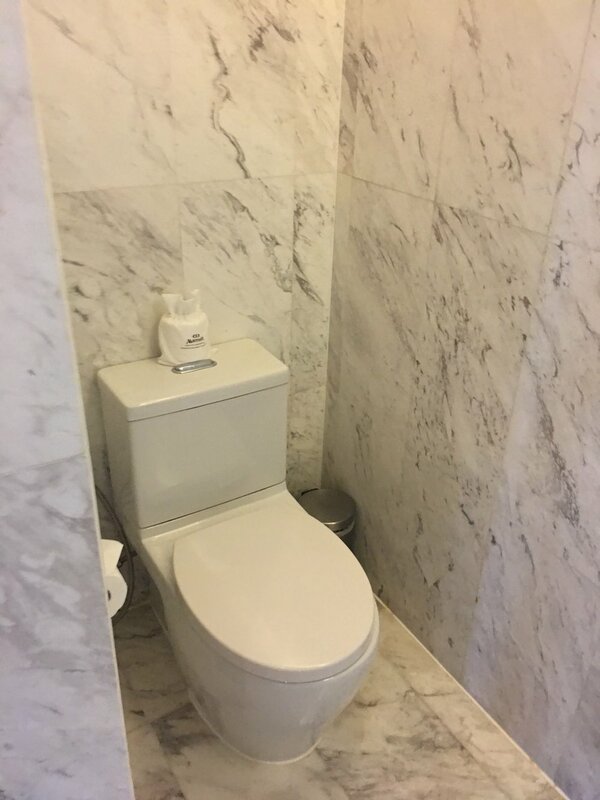 I thought the bathroom was a good size, with a rainfall shower, bathtub, and dual vanity. Toiletries were by Thann and were high quality. There was a wide assortment of toiletries available ranging from shampoo, conditioner, body soap to toothbrush, razor kit, and vanity kit, etc. This is where the property really shines in my opinion. 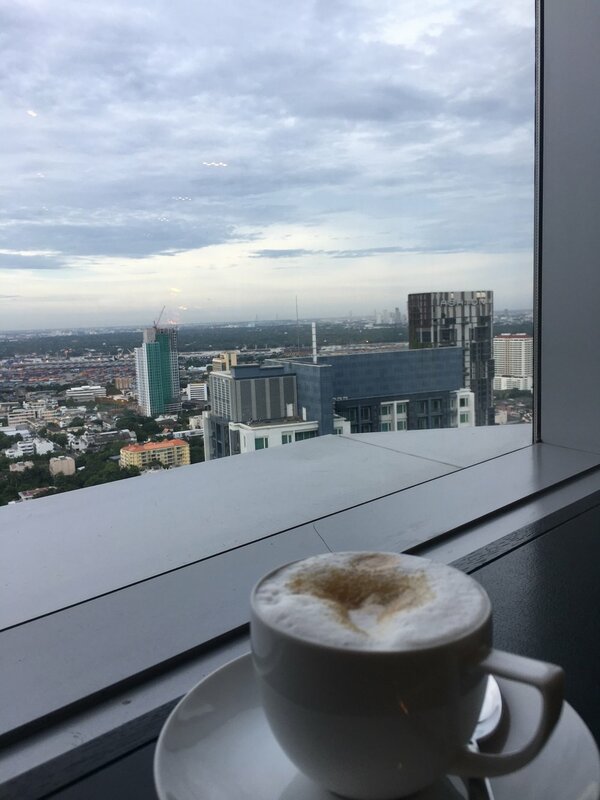 In general all the staff I interacted with were amazing, but the executive lounge on the 40th floor is what makes this property as special for me as it is. 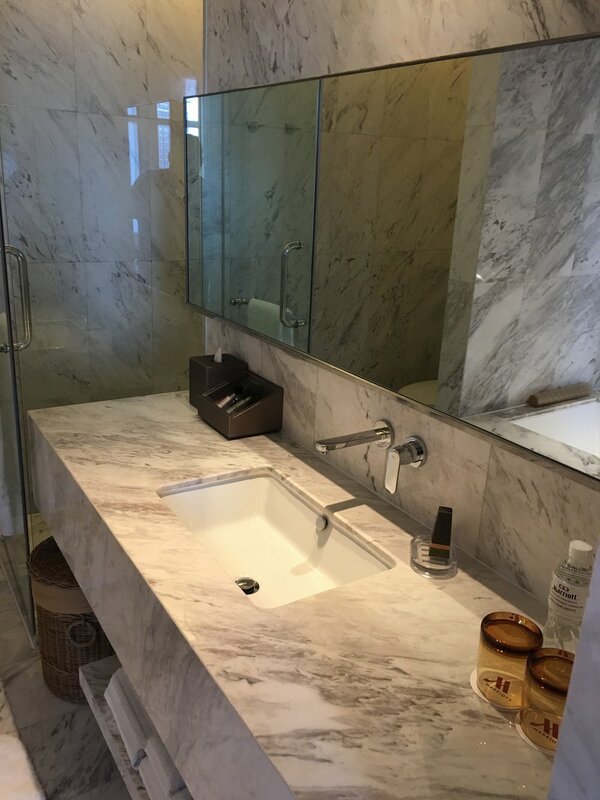 The soft product (quality of service) was really out of this world when compared to the other hotels I was staying at, except for the Ritz-Carlton Dubai (you’ll see why in a upcoming installment). The lounge manager, Lou/Boss, was amazing and his staff did a great job. Lou would make phone calls for me to make reservations in Thai, remember my drink selections, and genuinely cared about my experience. We would often sit down and have a quick chat about my travels and how he became the executive lounge manager. There was a dedicated doorman named Nu. He would not only open the door for me, but pre-call my elevator so it was ready for me. The whole team of Lou/Boss, Nu, Youis, Today, Ploy were awesome. Now onto the hard product of the lounge. 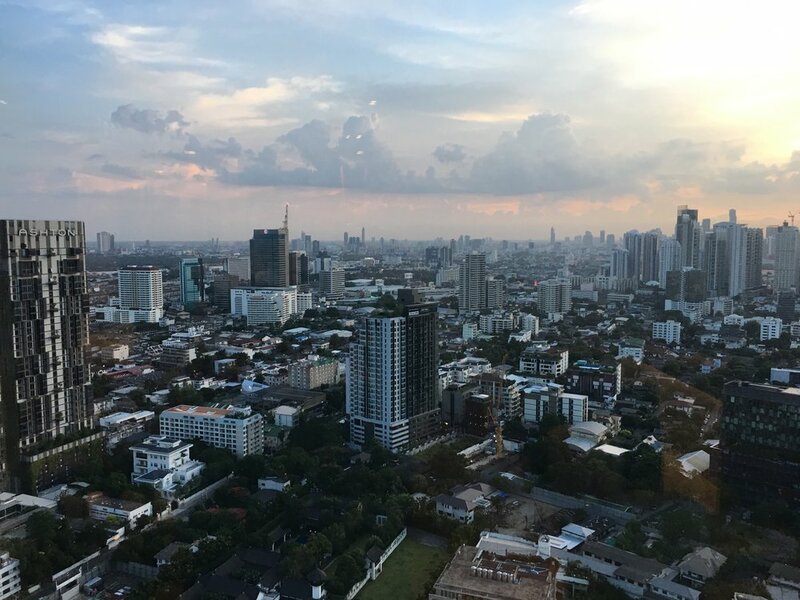 Being on the 40th floor is had a great 180 degree view of Bangkok. Every morning there continental breakfast with a couple of warm dishes, pastries, and drinks. 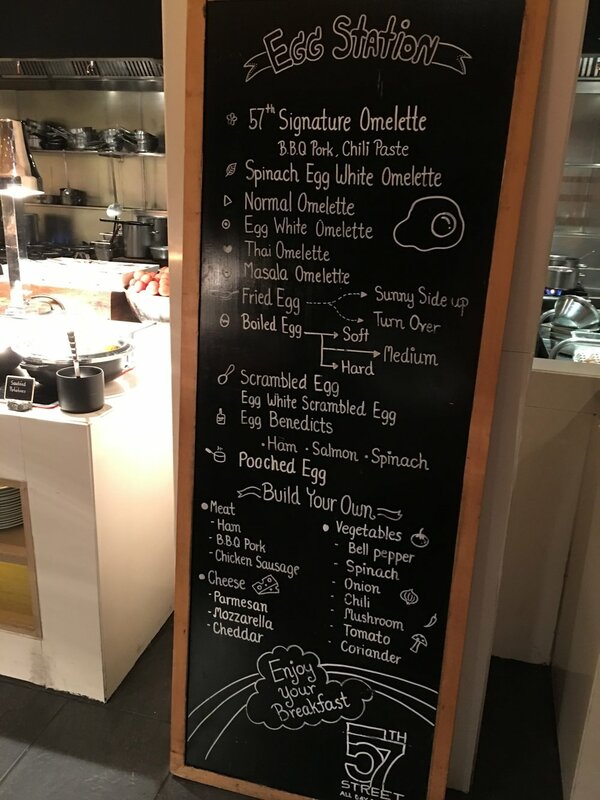 I would recommend going to the restaurant in the lobby for breakfast as it is much more extensive. That has its own dedicated section below. The benefit of the lounge is it’s open 18 hours a day (6am-Midnight). There are three meals served here in a day, with snacks in between, and plenty of drinks (alcoholic beverages included) throughout most of the day. The meals are actually pretty good. Usually there are at least 2 hot items with a bunch of supplemental sides. Every night for dinner there is a free open bar, and a daily rotating station where a chef will make you a special local dish. 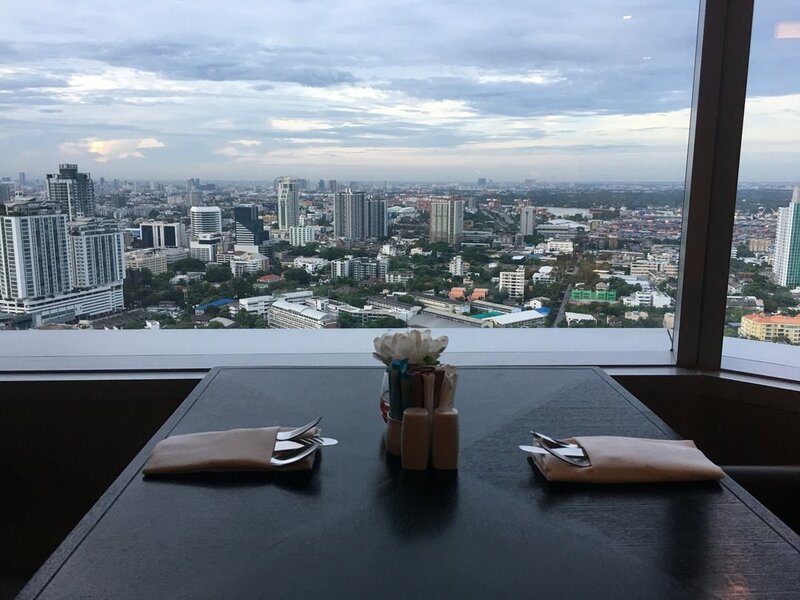 Bangkok is a cheap city for food by western standards, but having this convenience is a huge benefit, especially for business travelers. 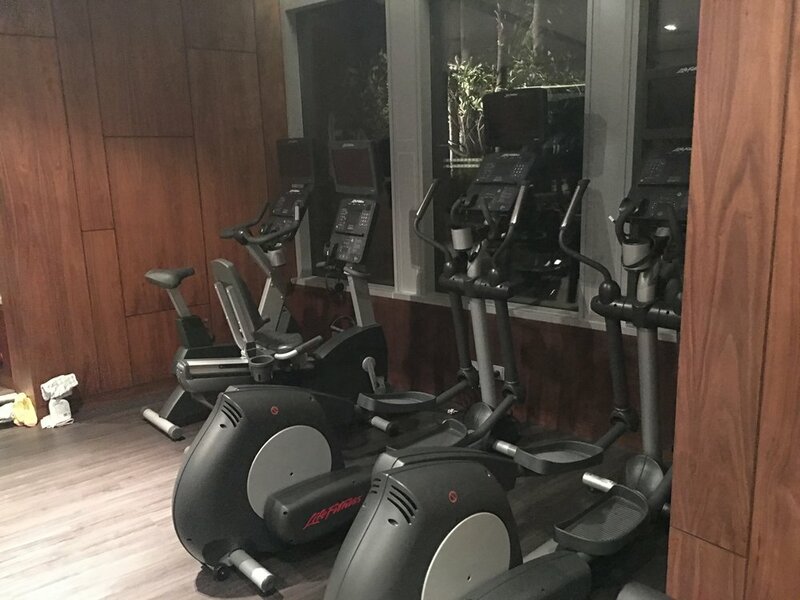 The gym was super modern with plenty of machines. There was iced water & apple infused water. 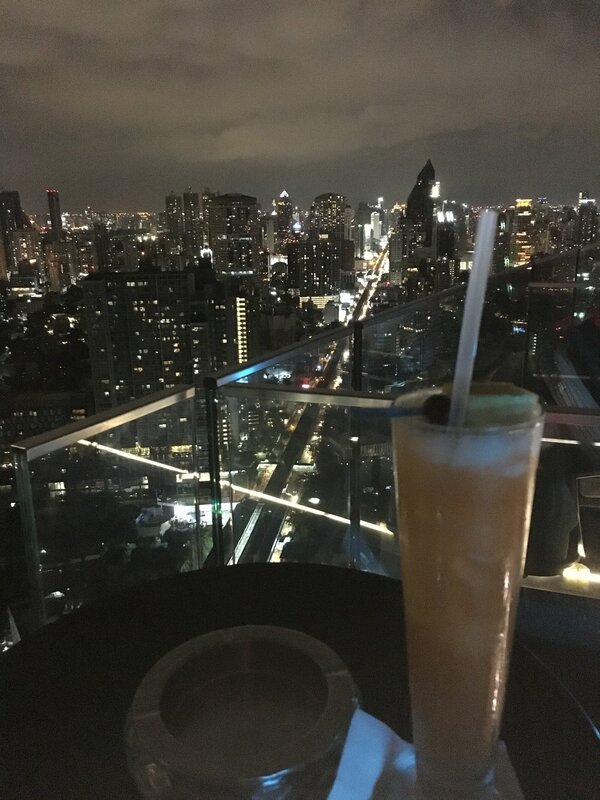 One of the most famous rooftop bars in Bangkok, Octane, was located on the top floors. Prices were expensive for Thailand standards, but for how nice this rooftop area is, it was worth it to have a drink or too. Prices were on par for popular bars in western cities. 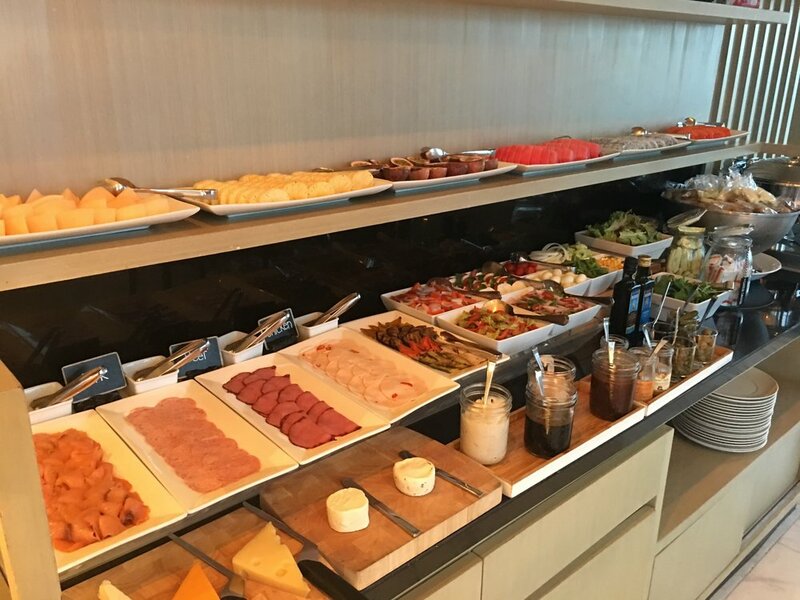 The daily breakfast spread is on the first floor at 57th Street. It’s an international buffet with many nationalities being offered. Most of the items stay the same, but some of the items are on a rotation. On the weekends I noticed there was smoke salmon, but not during the week. I loved that they offered a freshly squeezed juice station. There were so many stations, Asian buffets know how to do it correctly. 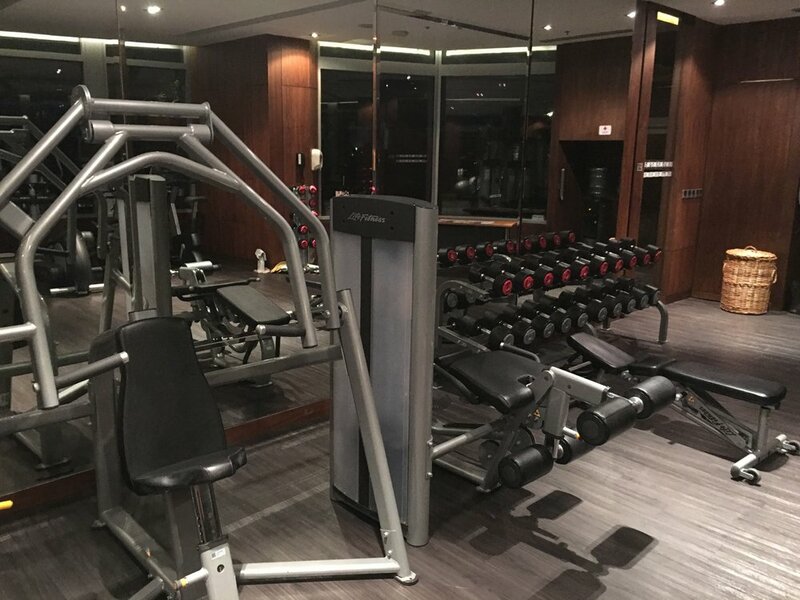 The Marriott Executive Apartments Bangkok in Sukhumvit Thonglor is a great property. The staff are super helpful, kind, and courteous. Most importantly the apartment was a great benefit to have in addition with the proximity to the Thong Lo BTS station. 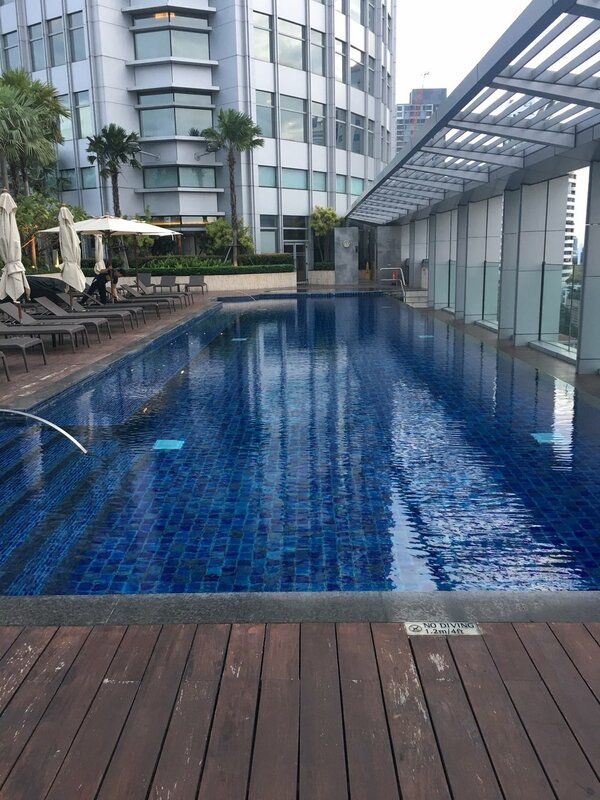 I really recommend staying here as it is a cheaper category Marriott property in Bangkok, but what else would you need?